In the Malaysian music industry, you don’t see a lot of male-female duos around, and even in America, it is not something very common either, especially in the pop music scene. Some of the popular ones that we know of are Us the Duo, Sleigh Bells, Purity Ring, Crystal Castles and let’s not forget the iconic husband-and-wife duo, Captain & Tennille, but in Malaysia, a co-ed duo is something that is very rare unless it’s just a duet – but that’s whole different thing! Seeing this as an opportunity to stand out and be different, two best friends had formed a musical duo in 2015, aptly named DVA (pronounced as “dua”) and began to cover songs from various pop artistes on YouTube. The duo is made up of Sher and Juanita, a former rocker and a beauty queen who have been close friends with each other since college. 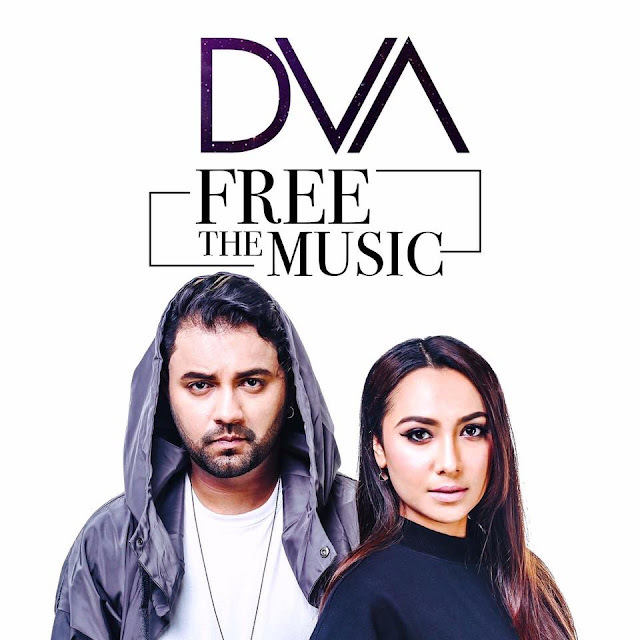 After countless covers and teasing their fans with new music, the talented duo was signed to Warner Music Malaysia and finally released their first ever single, “Free the Music”. 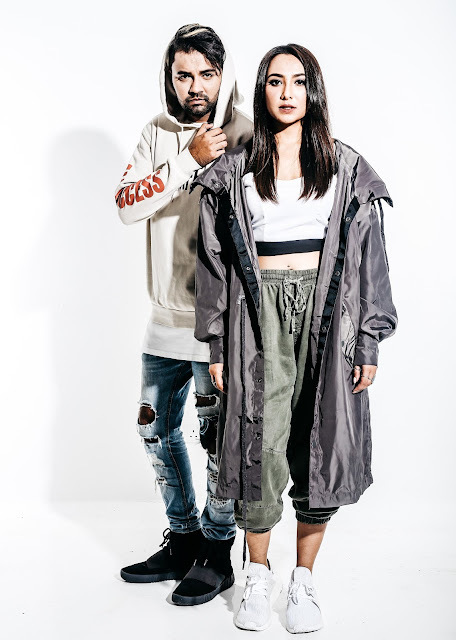 Produced by Farique Nadzir, the music video of the song was released on 13 April featuring some familiar faces from the industry, such as Darren Teh from An Honest Mistake and Sher’s own uncle Ahmad. The song was even picked up by the MTV Asia channel and will be played alongside other mainstream pop songs regionally and internationally. Though this song is considered DVA’s official debut into the music industry, the two have been playing gigs at various venues and have opened for many renowned artistes including Simple Plan, Daniella Andrade, Sam Tsui, Tiffany Alvord, Kurt Hugo Schneider and more. The release of their song, “Free the Music” is only the beginning of the journey for DVA and we expect them to go even further after this. But before they do, let’s get to know them first! DVA’s background – how and when they were formed? The duo was officially formed in December 2015, where they released their first cover “Love Yourself” originally sang by Justin Bieber. 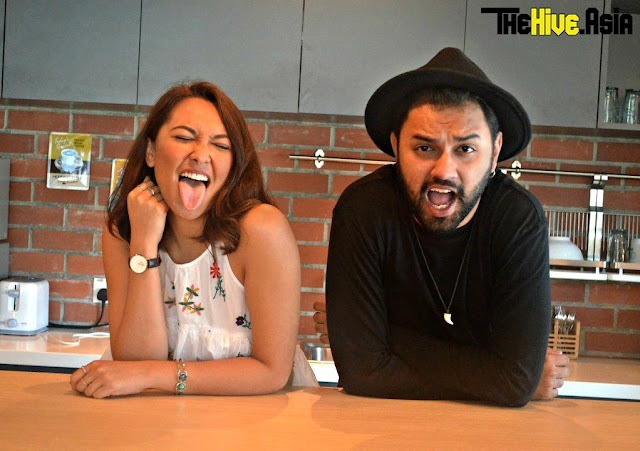 Having known each other since college (around 2011), Juanita and Sher always talked about wanting to make music together because they both share the same love towards music. During their final semester project, they were required to do a tribute to the class, so they wrote a song accompanied by a music video and got nominated for a Voice Independent Music Award for Best College Act (VIMA). Since then, the duo decided to work on more cover songs. As they intended to release cover songs on YouTube, they figured that they needed a name for themselves, a name that is catchy, short and memorable. “So since there are two of us, we think just a simple ‘Dua’ is cool, but the spelling is a bit too plain so we thought of changing the ‘u’ to ‘v’ like how the band Chvrches did. Plus, ‘Dva’ also means ‘two’ in Russian and Sanskrit,” Sher explained. Pop and funk would be the best way to describe the style of DVA’s music. Juanita is into motown and old school funk, while Sher is into Bruno Mars, so their musical style complemented each other well. “We want our music to be something that makes people happy and makes them want to move to the music beat,” said Juanita. Both of them basically listen to everything, from retro tunes to contemporary and mainstream hits. Their first single “Free the Music” gives off similar vibes to Justin Timberlake’s “Can’t Stop the Feeling” as that’s what it was inspired by! “We just wanted to come up with something fun, something that changes everyone’s mood to a happy one. So we thought that if want to do the song, let’s do something like that. Something impactful and memorable where people can groove and dance to,” Juanita explained. “Free the Music” was written by their producer Farique Nadzir, but the duo had their very own input. The song took 35 recordings and 35 mixes as the two were just unsatisfied with how it sounded, initially. What do they think about the competition in the industry? DVA doesn’t see other musicians as competitions but more like people that they want to work with. “I think people should start getting used to being with people who do the same thing as you and want to be on the same platform as you. Although the people outside see it as a competition, we think that we need to help each other out and support each other because it’s such as small community and industry, and I think that you would grow more if you help each other out,” Juanita said. Sher – Don’t be fooled by Sher’s charm and friendly face, secretly, he’s really athletic. He has a black belt in taekwando. He’s also a national referee for taekwando matches! He represented the state in basketball and soft ball, and he does high jump as well – so you don’t want to mess with him. Juanita – Lorde’s “Green Light” and “Liability", Clean Bandit’s “Symphony” feat Zara Larsson. What are their day jobs? Sher – Host events, manage social media accounts for several brands, and manage talents. 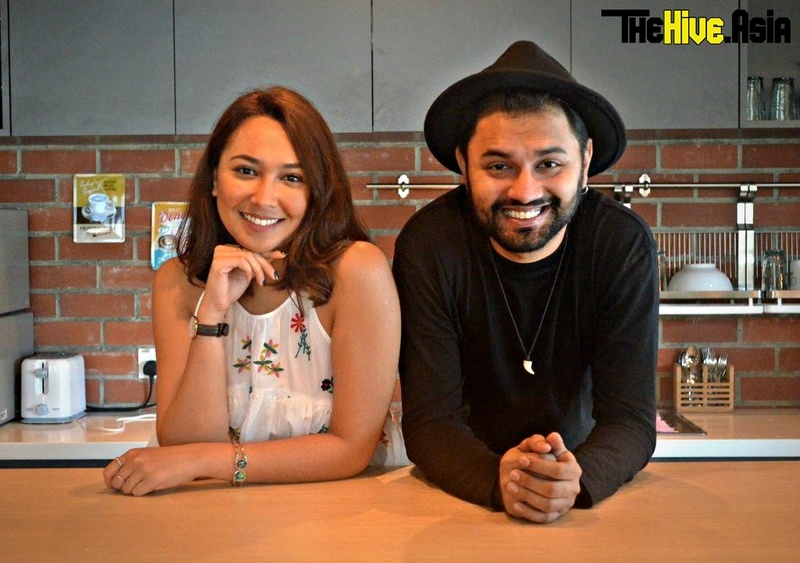 Juanita – Hitz.fm Morning Crew DJ in charge of the 1 to 4pm slot. 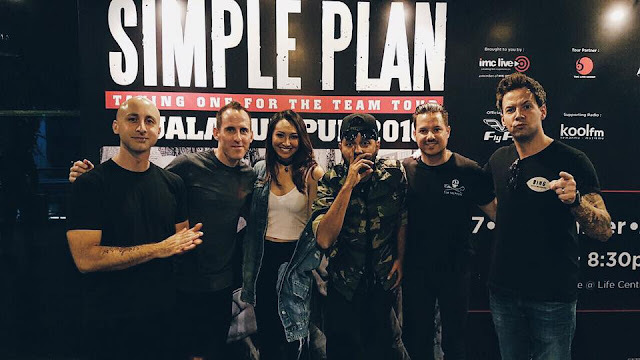 The duo signed under Warner Music Malaysia for three years, and they have plans to release an EP first and maybe a full album too, but for now, they are focusing on their second single which they have collaborated with someone (or two) from Singapore – which they can’t reveal just yet! But they promise that the person (s) is talented and the single will be great! Like their debut single, the second single will also have a happy, funk vibe, maybe funkier with a lot of attitude, and it will most probably be out by end of this year. So look our for DVA now!